I’ve been hunting for transdermal patches for a while now, but with 1:1 being so high in demand relative to stock, it’s been nearly impossible finding them. Now that I’ve tried one, I’m thrilled that it’s regular stock on our shelves. I cut my patch into four squares. I’ll cut my next one into six, making this highly economical for even a homeostatic goal (daily wear). The activation time read 60 minutes, but my effects came on so quickly that I initially wrote them off as placebo - only about 10-15 minutes, with unquestionable effects by 20 minutes. It is worth noting that I am relatively small (125 lb) with a fast metabolism and a moderate tolerance. The first effects I felt were gentle rolling waves of ease and relaxation. Noticeable, but subtle enough to be brushed off. Over time, however, the sensations intensified and a pleasant body high made itself known. I didn’t feel couch-locked, just floaty and a bit dreamy. At times it was in the background an at others I basically couldn’t focus on anything else. These effects lasted from when I applied the patch at 9pm until I went to bed around 1am. When I woke up, the effects were still present, but muted. It was easy to go about my day feeling relatively unhindered. It wasn’t until the effects faded around 9pm that I realized I hadn’t felt any issues that would make me need to smoke. I didn’t feel high (except for mild haziness), I just felt fine. I do recommend starting slow as I also tried applying half of the patch rather than a quarter, and the experience was very unpleasant until I removed part of the patch. I would recommend this for people with chronic issues ranging from pain to mood disorders, who smoke frequently to treat their ailments. I recommend applying it at night so that the stronger effects happen outside work and responsibilities, and so they can be slept through if the person doesn’t enjoy being high. Overall, a great experience and medical too! For more reviews by Molly click here! Or to see a list of all of our published reviews click here! This is the first extract I've had the chance to try from Tree Honey. Tree Honey, produced by Claywolf, is usually a slightly darker or less stable oil than the traditional Claywolf brand of extracts. I got to try the strain Brain Freeze, which is a Sativa hybrid extract with a Pull-N-Snap consistency. The oil has an amber/orange coloring to it, and is definitely on the tackier side of a Pull-N-Snap. I found that popping it in my fridge when I wasn't using it helped to solidify the oil when I was using it to dab. I'm not sure if it's the paper that Tree Honey is using or the oil itself, but the oil did not want to let go, and I may have torn a hole or two in the paper trying to get it off. My favorite part of this oil is the taste. It tastes very much like cloves, hops, and wood, and has just as much flavor as Claywolf's original line. It seriously reminds me of pumpkin pie spice when I taste it. 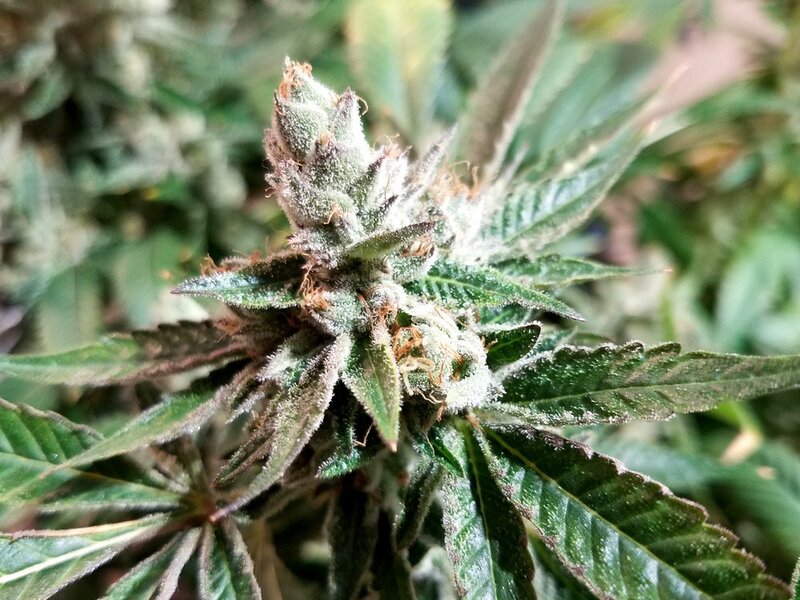 For a Sativa hybrid it gives me quite a strong head change, and it triggers my appetite so I like to smoke it when I know I'm going to have a meal or a snack. It is not sedative, but I wouldn't say it gave me a particular burst of energy either. Brain Freeze tests at 66.4% THC, and sells for R$21 per gram. After trying this, I will be picking up new Tree Honey strains in the future. "The Quill is Mightier than the Pen." 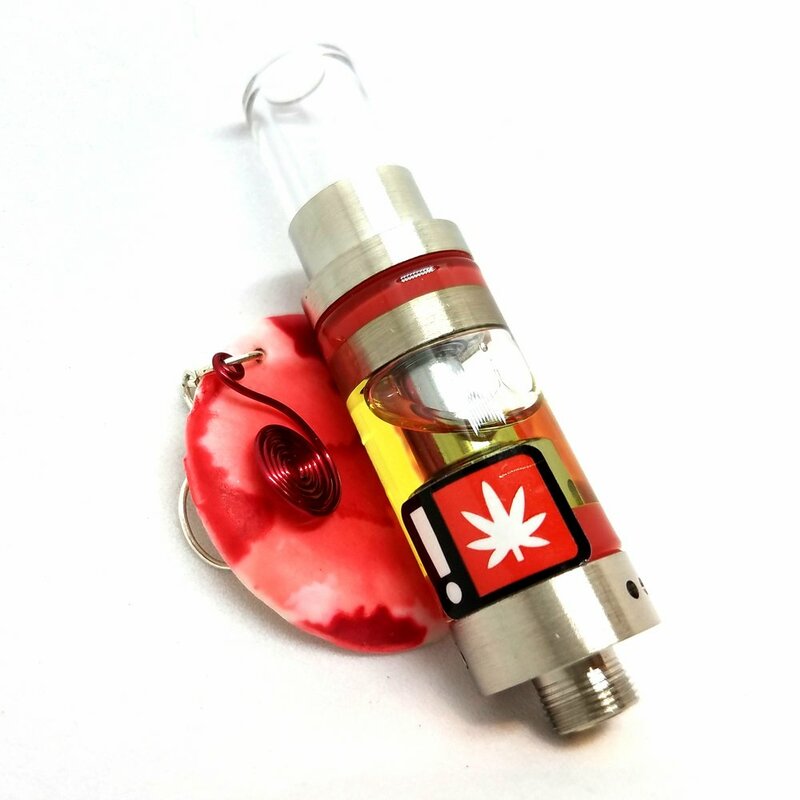 This beautiful and FULLY recyclable vape pen definitely brings a new level to discreetly medicating while on the go. Thanks to its small size and sleek silver appearance, this pen can be easily concealed within a purse or pocket [although we never recommend leaving vape pens in one's pocket]. Filled with 0.75g of premium CO2 extract and paired with a bright white light at the bottom to display a draw effect, this pen is perfect for short or long pulls and is crazy easy to adjust your dosage. Fist off, I noticed the strain itself was exceptionally beneficial! Not only did it massively relieve every discomfort I was experiencing [i.e. lower back pain, headaches, & menstrual cramping to be specific], but it also provided a wonderful dose of a full on body/mind relaxation. Due to the high amounts of CBD within this strain VC/DC makes for a great option for anyone looking to Medicate without speculation. VC/DC was created through crossing Viper City OG x AC/DC to produce a wonderful 2:1 CBD strain that presents with a nicely rounded high. And finally, when your pen has ran out of extract to vape it will alert you by brightly flashing its bottom white light, so that way you know it is time for it to be recycled. Recycling is easy, as all you need to do is bring the used cartridge back to the shop. We've cooked up a new batch of haiku's for you to enjoy! Check out other haikus we've written here. to make my world a good place. This is now the third strain I have tried from Orchid Essentials and one of the first things that drew me to their Vape Pens was the Orchid flower used to symbolize their brand. Orchids are beautiful elegant plants that require the highest of attention to properly propagate, so naturally when it comes to flowers they are thought of as classy and high end; now what could be a better symbol for a high end company? 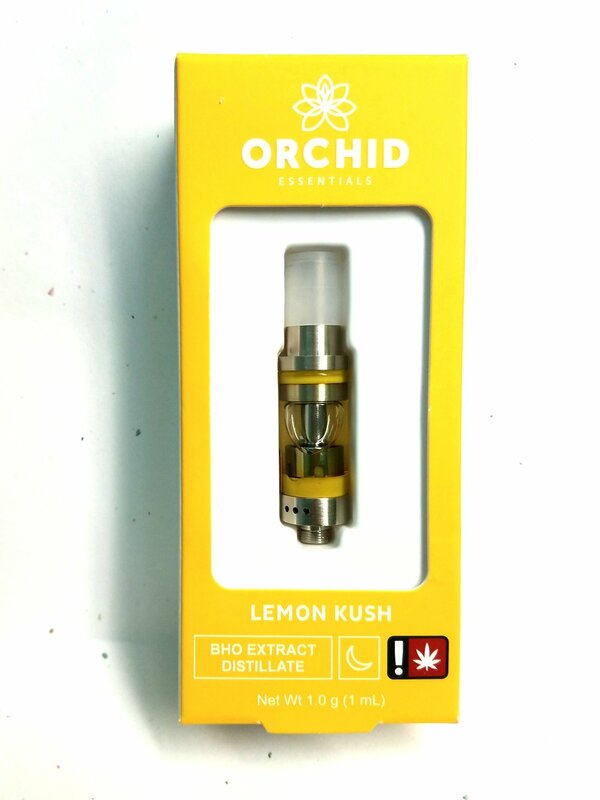 The taste of the Lemon Kush Pen is 100% to be expected, as the subtle taste of lemons moved over my tongue and into my lungs I noticed a nice at ease feeling wash over me. And although this strain is said to be used more for Nighttime use, I found it extremely beneficial to use during the Daytime as well. Sometime, because of my GI issue's, finding my appetite can be a little trying at times so something like Orchid's Lemon Kush was greatly enjoyed. Usually I would wait at least until noon to try to self medicate with this tasty little lemon gem, as it did bring a wonderful sense of calm into the room [and if you weren't careful could bring on a full on nap]. Best to ease the symptoms of Stress and Anxiety while providing a nice dose of Relaxation and Appetite to those who need it. Winberry Farms has a knack for creating great tasting distillate oils. For a while now, they've been my go-to company for buying distillate vape cartridges. Their blackberry cream tastes just like one of those Creme Savers candies I used to eat as a kid. The Mango Super Silver Haze is incredibly reminiscent of a pomello, being both fruity and floral. So Tropical Trainwreck is just what you would expect from the name, and gives off a strong fruit punch flavor. I have tried Winberry's Tropical Trainwreck strain before in a cartridge, so I thought I knew what to expect from this oil in a dab-able form. To my pleasant surprise the flavor and effects of the dab was much more intense than the cartridge. To start, the distillate Tropical Trainwreck shatter is an astounding 86.5% THC! Which meant that I only had to use a small portion of the oil to reach a very comfortable high. The flavor of the dab was also creamier than I remember the cartridge being, while still having that signature fruit punch flavor. The color is a soft, almost powdered yellow, that sparkles when it catches the light. The texture is surprisingly soft for a shatter. The oil had a soft give more like a hard dough than a brittle shatter, and I appreciated not having to worry about any errant shatter trying to jump away. Tropical Trainwreck is a sativa-hybrid, and the high for me was very cerebral. It's a strain that won't put you to sleep, but can still space you out. While a bit pricey for me to buy as an everyday strain at R $75.60 / M $63, I would definitely consider picking up Tropical Trainwreck, or a sister strain, for a special treat in the future. I got one of these a while back and forgot to make a review. This bar was absolutely delicious. It was sweet and crunchy and well balanced. It came with card-stock dosing guide which says how to portion the bar into 5 mg chunks. I would definitely use a knife to portion the bar, because it doesn’t break evenly. Honestly this one was so good I ate a little too much. I split it with Aaron before bed and I actually couldn’t sleep for a bit because I was too high, despite the indica strain. I mention this with customers now and then, that since it’s so delicious and not divided into servings you may want to eat more than you need, so be careful. For more reviews by Kacey click here! To read more reviews on Laurie + MaryJane products click here! Or to see a list of all of our published reviews click here! The Lemon Thai flower grown by Dicot Farms is an uplifting Sativa. This strain is a cross between Hawaiian x Thailand Sativa, so it'll take your senses and mind on a tropical ride that's filled with joy. Dicot Farms is an organic cannabis grower, so you can be assured that this strain is organic and clean. The strain has a strong citrus and lemon scent, so the limonene terpenes really stand out. This scent can also be tasted in the flower when smoked, so it has a light lemon taste. The high did sneak up on me, so I would recommend waiting a bit after smoking! 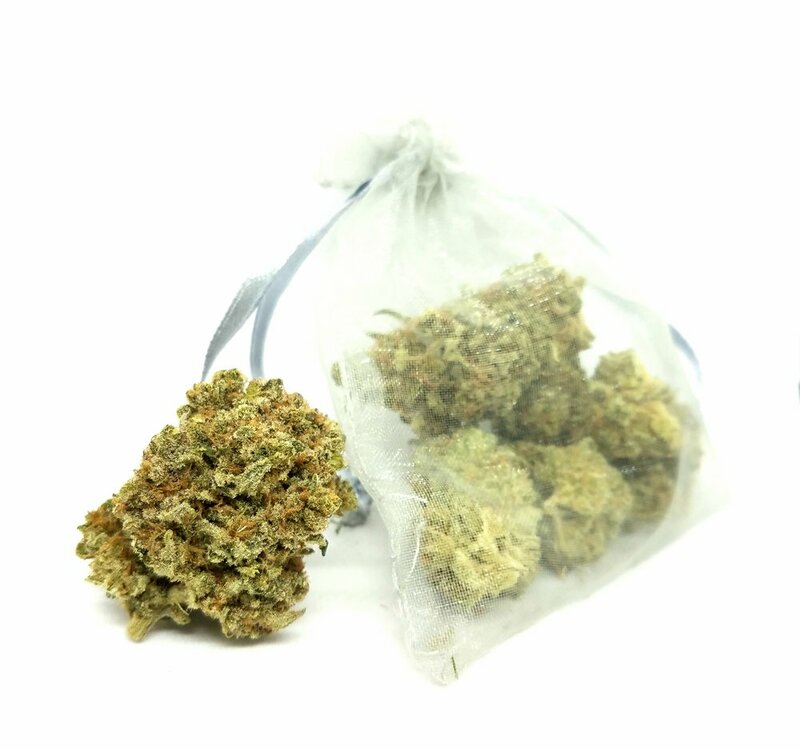 This flower is only going for $7.20 a gram which is a great deal, especially for bulk buyers. So, c'mon' down to the Agrestic and treat yourself to the tropical trip of Lemon Thai. My default assumption from pop-culture was that edibles were sweet treats like chocolates and brownies. So when a new product, like the Little House infused olive oil, comes into our store it catches my attention. Olive oil is an interesting thing to dose with THC. It's not an get-and-eat edible that you pop in your mouth and enjoy like a truffle. (I mean, unless you want to.) It takes a bit more thought into how you're going to prepare it to eat. Especially since I most commonly use oil to roast potatoes in the oven, and I felt like that would be wasting the oil in the pan. Inspiration first struck me when I was wandering around the grocery store. I was picking up some bread and passed by a display of hummus! If you didn't know, one of hummus' main ingredients is olive oil. I scooped out about a 1/4 of a 10oz package of hummus and mixed in the entire 5mL of the dosed olive oil. To my delight the hummus completely absorbed the oil that I added in, and I couldn't taste any of the common cannabis-plant flavor that is sometimes found in savory edibles. The next time I buy this olive oil I plan on creating a dipping plate with it, a nice raspberry balsamic vinegar, and a loaf of freshly baked french bread. Since I couldn't taste the cannabis flavor of the olive oil when I used it in the hummus I think this olive oil can be used as if you had a traditional olive. It could be easily used to top some pasta or create a salad dressing. The olive oil is a steal at R $12 / M $10 for a full 50mg of THC. It's also a strain specific edible, currently the ones we have in the shop are made with Sour Diesel which is a Sativa strain. This is definitely an edible that I'll be picking up again! Want more to read? To see a list of all of our published reviews click here! It tastes like Blackberries. It smells like blackberries. Need I say more? Since I do, I will say this. The look of the bud had a nice bright color to it and the smoking experience was smooth. The high was mellow, not overpowering, but very peresent. I was happily surprised by another new farm and quality bud. Thanks Sons! For more reviews by Papa J click here! For more reviews by Devin click here! Or to see a list of all of our published reviews click here! I recently tried the Indica Hypnos Tincutre produced by TJ's Gardens. I got this product initially to help manage my sleep regimen as I tend to suffer from bouts of insomnia. Upon getting the product home I followed the Instructions on the bottle for use and attempted to see how the recommended dose worked, .66mL about 3/4s of a dropper. I found the taste of the product to be pleasant, It did have a mild cannabis (green) flavor that persisted for a short time after swallowing the tincture. I found that the single dose for my tolerance and body size was a little underwhelming and so for subsequent doses I used 2 full mL (~About 3 doses) and that had me feeling wonderful and floaty, ready to slip into slumber at the gentle coaxing of a pillow. I would recommend this product to anyone hoping to soften the edges of any anxiety they may suffer, or looking to find some deep relaxation without smoking. For more reviews on edibles click here! Or to see a list of all of our published reviews click here! I've tried King's Pure Kush flower in both the 1/2g pre-rolls and bulk flower options. The pre-rolls come in a cute cone canister which is sealed closed. I like the way that King's designates what strain is in a pre-roll container by the color of the cap, Pure Kush for example has a white lid, while GG #4 has a black cap, and Chernobyl has silver. I do wish this packaging was child-resistant re-sealable though, as I don't often remember to bring an exit bag in with me when I'm picking up a pre-roll. The pre-roll was rolled well, not stuffed too tightly to where I couldn't pull through the joint, or too loosely which could cause the joint to stop and start. Even in a pre-roll the flower had a beautiful creamy vanilla sweetness to it. The flower smells strongly of sugar and earth. There was a creamy sweetness to the smoke that reminded me strongly of cookies and cream. It's got some good looks too, a light green flower and a very frosty coating. The high was heavy and sedative, and after a sharing a few bowls with my bestie we were both falling asleep on the couch. For more reviews by Anaeka click here! Or to see a list of all of our reviews click here! This cartridge honestly took me by surprise. At first, you get an intoxicating breath full of a strong pungent strawberry aroma with a very comparable taste. As a lovely fragrant taste of strawberries hit my taste buds I was thrilled with how flavorful this cartridge really was. I felt an immense relaxation wash over my body while my mind stayed comfortably alert throughout the day, but if I was left immobile and sitting for too long I began to fade from being too relaxed. This strain was great at providing relief from day-to-day stress as a slightly euphoric yet relaxing buzz becomes apparent. 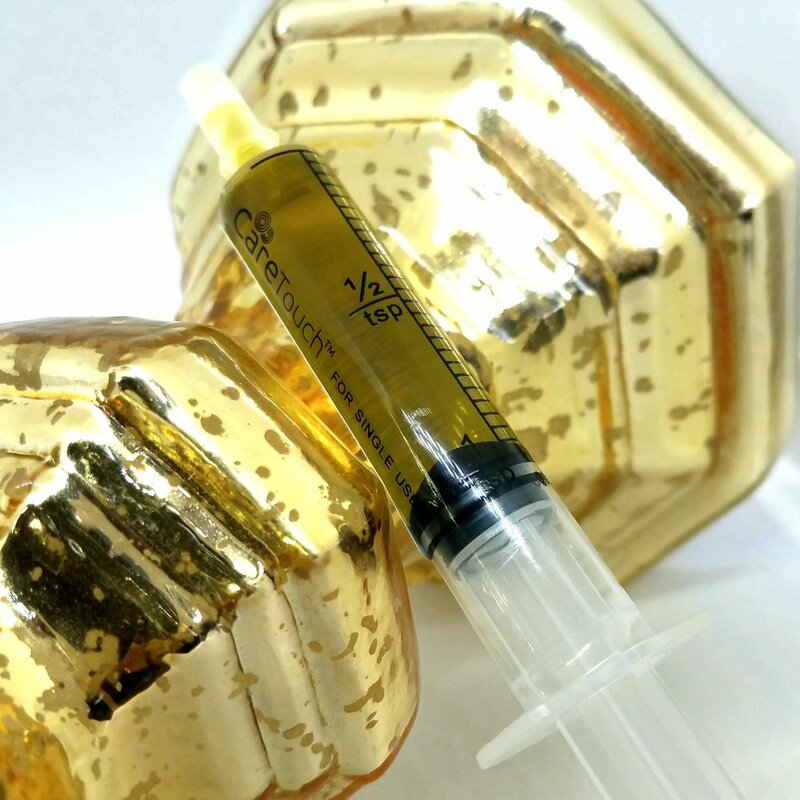 One of my favorite things about Orchid Essentials is that they use 100% organic materials in their distillate, including the cannabis derived terpene that they use to thin their final solution. I would 100% recommend ANY of Orchid’s Cartridge types!!! For more reviews by Megz click here! Or to see a list of all of our reviews click here! These shots have been selling like crazy since they are R$12 for 50mg of THC. I got to try one the other day and I thought it was really good. I had the sativa shot, and it was surprisingly energizing, which I wasn’t expecting because edibles usually aren’t strain specific. It tasted great too, I was expecting a chalky medicine taste but it was a really good lemonade/citrus flavor. The only problem I had was that it was hard to dose myself. I took what I thought was a medium sized sip and then over half the bottle was gone. I usually only take about 10mg of edibles at a time so I thought I would be crazy high, but it turned out alright. Overall I would buy this again. 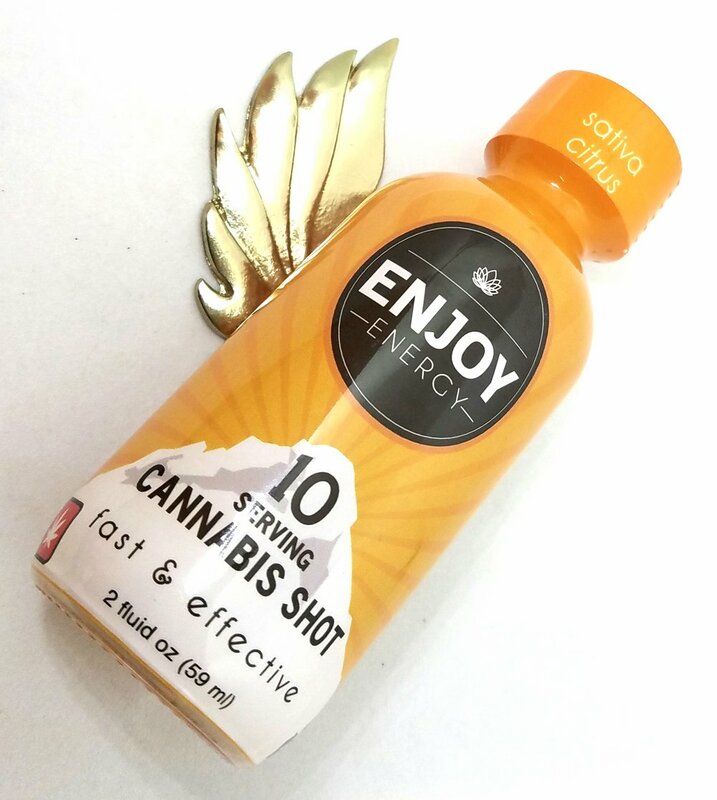 For more reviews on the Enjoy Energy shot click here! Or to see a list of all of our reviews click here! The first time I sampled Blue Hawaiian was for a morning Wake-N-Bake tester. I found that I actually really enjoyed this strain first thing in the morning. It brought a very nice uplifted alertness to my mind and provided just enough energy to sweep any left over drowsiness away so I could happily tackle anything the day brought me. The second sample was more or a Mid-Day tester. This also provided me with a nice dose of energy that left me feeling more uplifted and awake rather than motivational or active. 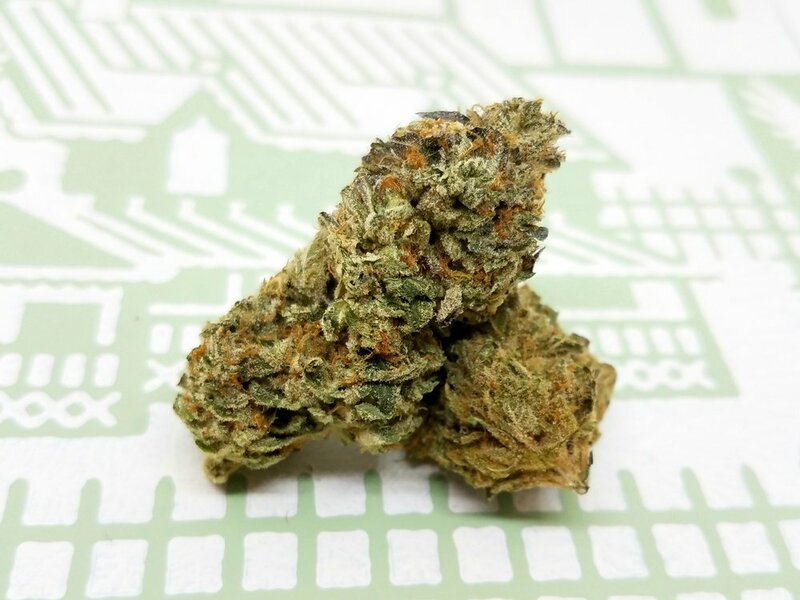 This did however prove to be a great mid-day strain if your power levels start to fall halfway through the day, or you just need an extra little boost to get you through the rest of your evening. 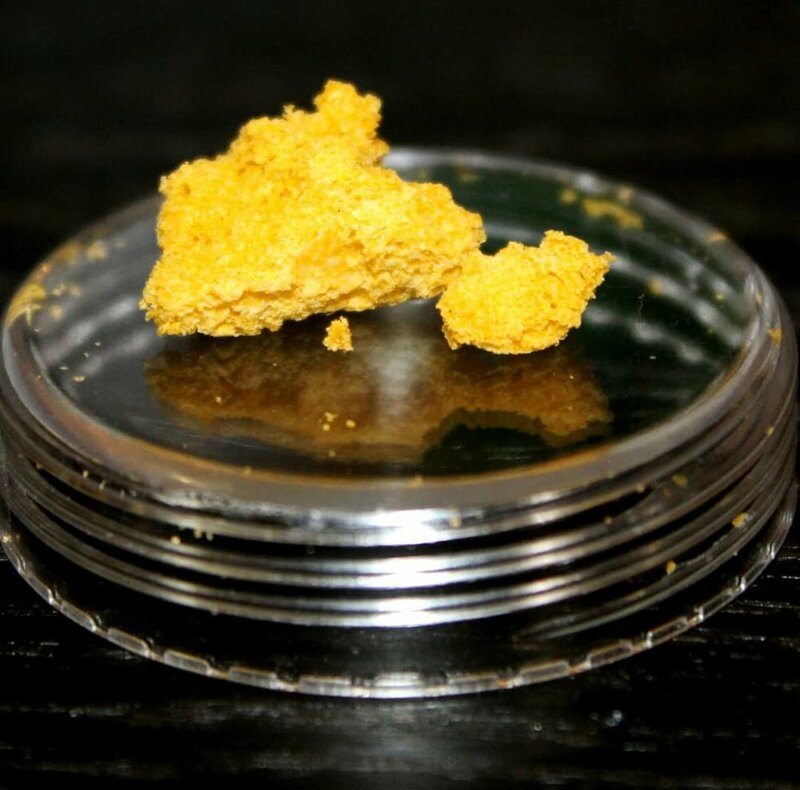 Blue Hawaiian Crumble produced by Apollo Grown. 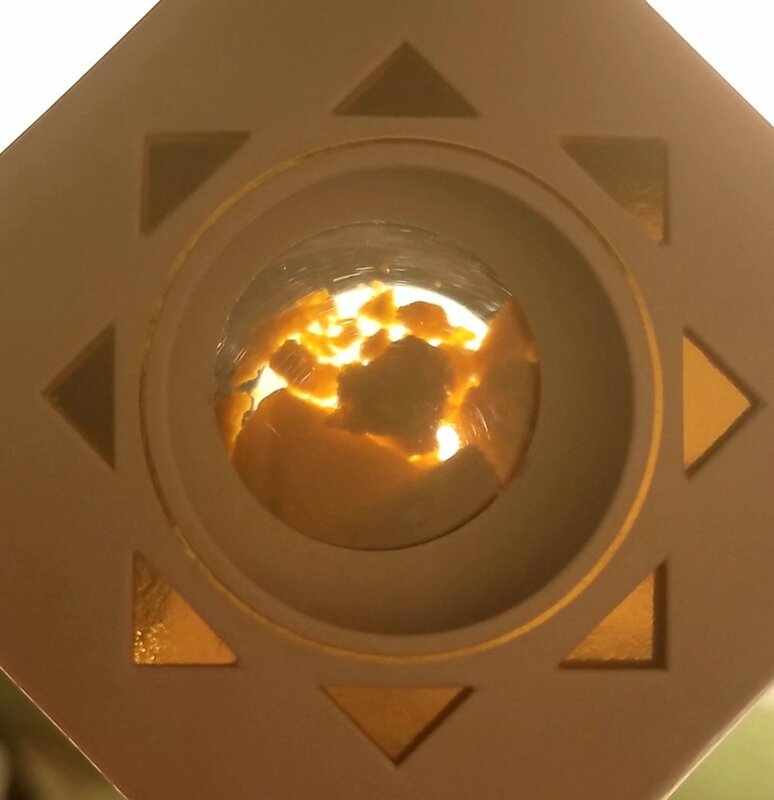 This extract is a beautiful 1g slab of tightly compact crumble, the packaging is elegant and so flashy with gold accents, and the price is one that won't hurt the bank or your wallet. The taste was smooth and very easy on the inhale with a light hint of sweet for the aftertaste. The flavor profile being as subtle as it was I actually had to take a couple dabs to really gauge the slight sweetness to it. The effects were felt almost instantaneous! With a burst of feeling awake and a nice rush of energy Blue Hawaiian can easily be used during any time of the day. With an organic and environmentally sustainable method of growing, Apollo Grown is definitely reaching a new level of standards within the Recreational Cannabis Industry. With one goal in mind: "To provide our community with healthy marijuana products by utilizing environmentally sustainable practices. And like Apollo riding Pegasus to the top of Mount Olympus, we hope to serve as a leader in this emerging industry and to shed light on new innovations. Please join us on our quest!" This extract is 100% worth the buy and isn't too expensive either! Want to read other reviews by Megz? Click here! I recently had my neck go out and it was very painful to move my head from left to right and back. Between the pain and having to toss and turn all night trying to get comfortable this issue was causing me to have trouble sleeping. 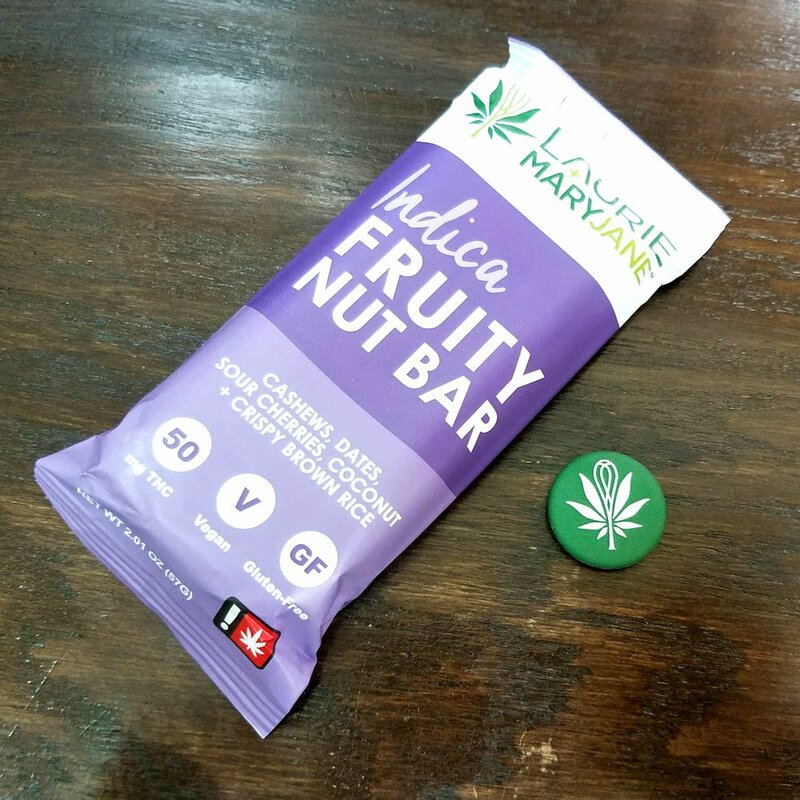 After a few sleepless nights I decided to try Laurie + Mary Jane's 1:1 Bar hoping to get the full cannabinoid effect to relieve my extreme pain. It was super yummy! Like a healthy rice crispy treat! With banana and chocolate! I took half of it about 15 minuets before bed. Finally! Some relief! I slept soundly all night with out waking up once! I also noticed a much less sever pain and more mobility in my neck due to the muscle relaxing effects of the CBD. It was a very welcome first experience with this product. It does have a slight hint of a "green" taste. But I did not find it to be unpleasant or overpowering. The delicious taste of the bar far outweighs any cannabis flavor. 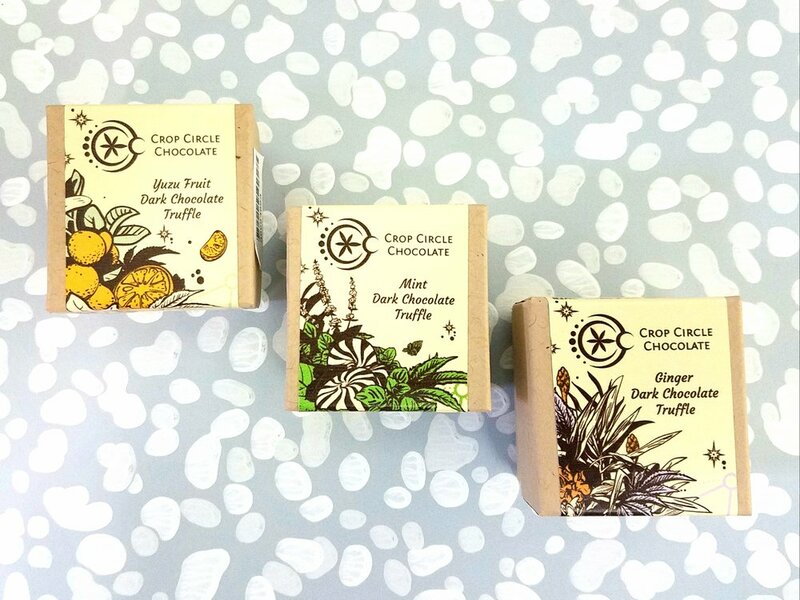 The maker of these delicious bars, Laurie Wolf, is a famous gourmet chef who written 6+ cookbooks, four of which are cannabis cookbooks. Her quality and love for delicious food reflects in this product. I would definitely be trying these again. I really love having a healthier edible option that still tastes great! This would be a really great bar for someone who tends to get anxious, as the CBD has a very soothing, calming effect. Or anyone who is just looking for some pain relief! Want to read more reviews by the Ganja Goddess? Click here! It was love at first sight. The colorful marbled design with a wolf face wax seal and a window to look at the beautiful extract inside. I’m talking about the packaging of the Extracts by Clay Wolf. Such a beautiful display for an equally amazing product. The Alternative Facts was the name of the strain and strong sativa was its game. The extract had sugared up and the terpenes had started separating from the THC which caused it to shimmer in the light when examined closely. The somewhat spicy, kind of floral flavor really hit hard and I could feel my cheeks blushing after one dab. Be cautious of paranoia/ anxiety on this one, I believe it is called alternative facts due to this effect. Had me questioning everything I thought I knew, but in the best way possible. If someone told you it’s bad they’re probably just telling you alternative facts. I have to move to survive. Fine, Jeff-- eat food too. Until trying Blue Dragon Desert Frost I have never had a high CBD strain work for pain, and give me a non psycho active euphoric energy boost. This is a great choice for pain relief in the day time when you want to be functional and you don't really want the high. Dab Society knows how to extract and Yerba Buena know how to grow some amazing cannabis. 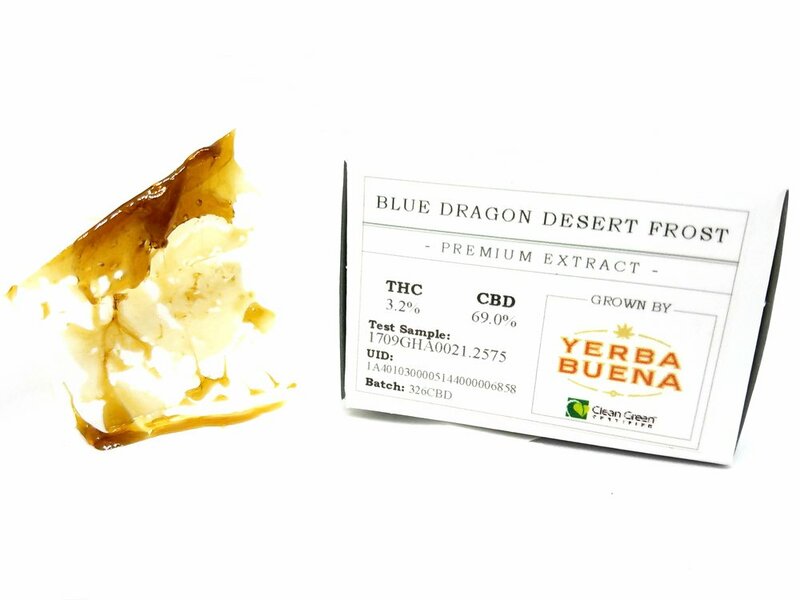 Blue Dragon Desert Frost is a high CBD Sativa strain with a nice floral scent, it tests at 69% CBD and 3.2% THC . 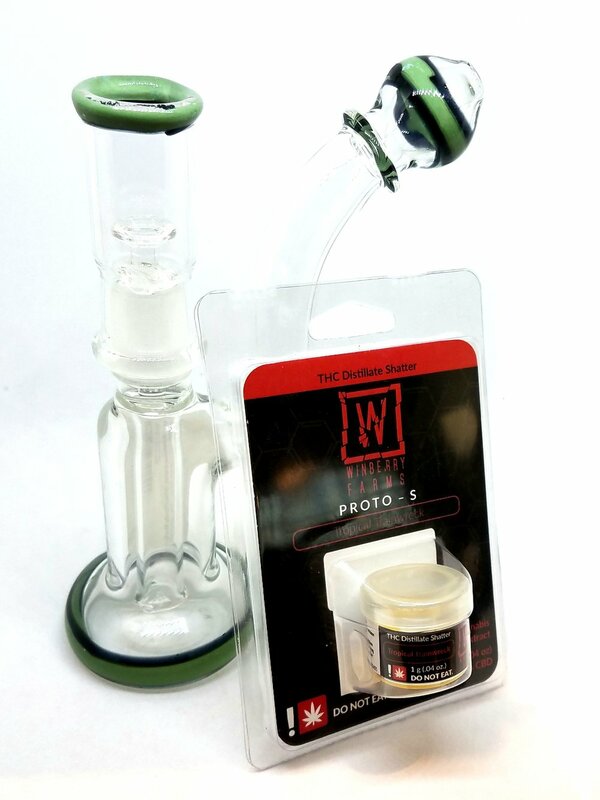 If you want to read more reviews on Dab Society products click here! For more reviews from Alex click here! Or to see a list of all of our published reviews click here!